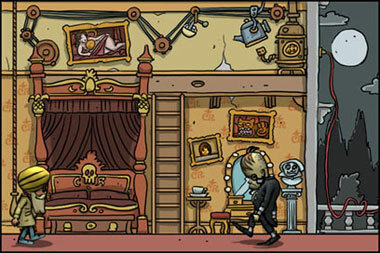 Hi Folks, This page is dedicated to our upcoming title called Mr Kapoor and the Pinnacle of Doom!! 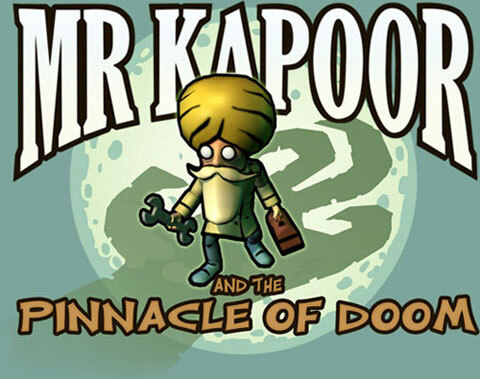 Mr Kapoor is a light, enjoyable, side scrolling adventure game for all the family. 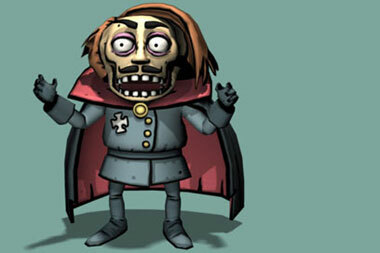 Guide our hero through many strange and wonderful environments, collecting items and solving puzzles with the ultimate goal of saving the world from the evil machinations of Count Ragoo! 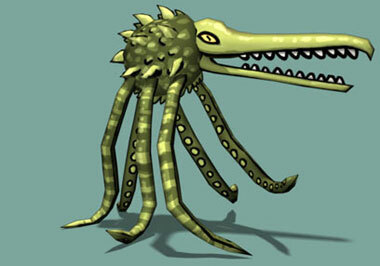 Count Ragoo is planning to send a deadly ray through the analogue signal in our TV sets which will convert mankind into mindless mutated monsters. Mr Kapoor, TV repair man and part time adventurer has traced an early prototype signal to Ragoo Mansion on the East side of town. Little does he know that his investigations will lead him to the Pinnacle of Doom and into deepest danger! Our spanner throwing hero will meet a variety of interesting characters along the way, from monkey librarians to moon tribe chieftains. He will also face a horde of strange and bizarre enemies all led by the dastardly Count Ragoo and even travel to the Moon to defeat the Pinnacle of Doom!! We will be posting updates on our Papa's Gong Facebook and Twitter links so please keep an eye out for more exciting previews.